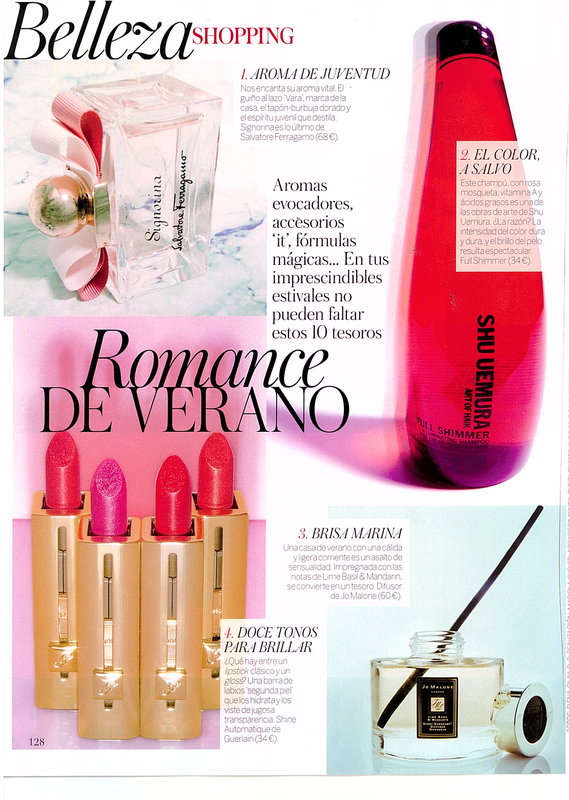 This month we are very excited to see our very own bloompapers in June’s edition of Spanish Vogue! We start the summer on a high note, featuring in a Beauty for the Summer special – with our image being displayed being the newest fragrance from Salvatore Ferragamo. We were contacted by Spanish Vogue who asked for a wallpaper which mimicked a turquoise marble. We were able to create this exclusive image for them. If you are looking for any particular design for your wall which you can’t see on our website, get in touch – we have all the inspiration and creative team necessary to create something original and unique for your walls! Empezamos con buen pie el mes de junio y participamos en una de sus páginas referentes a belleza, en concreto, de aromas para este verano. Decoramos la presentación de la página en la fragancia Signorina de Salvatore Ferragamo. Nos dijeron la idea de lo que estaban buscando, y nosotros fuimos capaces de crear este fantástico papel para ellos. Así que, si alguno de vosotros busca algo en concreto que no encuentra en nuestra web, no dudéis en contactar con nuestro equipo profesional, ¡haremos todo lo posible por encontraros el mural perfecto para vosotros! ¡Esperamos que os guste!